Recently, MSX Calamar announced a new MSX-BASIC programming contest and a new MSX magazine. Everyone can participate and the deadline to send your programs is the 30th of September of 2015. There will be prizes for the winners. At this moment first classified will receive a PSX2MSX adaptor and the second will receive a Snatcher Band audio CD. The main objective of this contest is to promote the development of programs for MSX and opportunity for beginners in programming in BASIC for the study of the techniques used during development. Programs submitted for the contest will be published in the new Calamar Magazine, at the end of 2015. Rules of the contest can be found on the web MSX Calamar (only in spanish). Don't hesitate to ask any questions about them if you need a translation. The contest is open to all people around the world and all benefits from the sale of the magazine will go to charities. It's time to dust off your MSX! 2. There will be no limit to use different techniques like Turbo languages ​​and machine code routines but, as is evident, as is most compatible with most models of MSX, the more likely to be better appreciated by the jury. I'm assuming Turbo language means using Turbo BASIC (i.e. 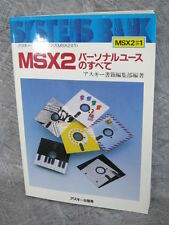 MSX BASIC Kun)? 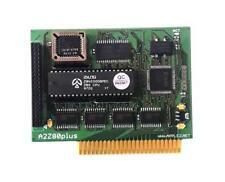 Using this would mean it doesn't run on many machines (as they need Turbo BASIC). However, using machine code routines it's easy to write code that runs on all MSX machines/models. In effect somebody could write an entire program in machine code and then just have a BASIC listing with a whole lot of DATA statements, a READ and POKE loop to get the program into memory and then execute it using USR. I can get that it's appreciated if a program can run on many different MSX models. However, shouldn't it also be appreciated if a program contains mostly BASIC code? Such that maybe somebody can learn something from it as well. If I have a BASIC listing that just pokes an entire machine code program into memory and then executes it, nobody's going to learn anything from the BASIC program. kanima: How do you mean it won’t run? BLOAD"xbasic1.bin",r:BLOAD"xbasic2.bin",r doesn’t work? Ok, you don't need the actual ROM, you can softload it from files, but that still means somebody needs to have those. You can't just type in or download the BASIC listing and run it, you also need those xbasic files. My understanding, which might be completely wrong though, is that X-BASIC is NOT freeware? This means that anybody who doesn't already own x-basic and wants to play it by the rules can't run your basic program (or at least not in turbo mode). My initial question remains though: does the competition rate BASIC programs with little or no machine code higher than BASIC programs which mainly poke an entire machine code program into memory and then run that? Users will rate all programs. All programs will be published in a paper magazine. So programs must be typed first, previous to vote (there will be a coded coupon inside each magazine). You can use MSX BASIC kun or lots of pages of DATAs, but as this is a BASIC contest, the more compatible and easy to type, more people will try and more possiblilities to vote a program. I would consider asking MCCM if you could use ICP7. a Basic contest is a good idea. but, who have time (and courage) nowadays to Type hundred of Basic line code from a paper ? To target a more international audience for this contest wouldn't it be nice to have at least this part of the site in English? I can do the translation if there is interest. I don't actually speak Spanish, but I can read it alright. Well, there's a challenge, then. You could try and find a way to program more efficiently, and code DATA lines to an easy-to-type format. Take the well-known Jake In The Caves listing, for example. The DATA lines are horrible! I can think of a couple of ways to shorten them considerably. Give the player something to look at, or even to play with whilst waiting for the computer to finish reading the data. Some Commodore-64 games had a simple shoot 'em up you could play while the actual game was being loaded.